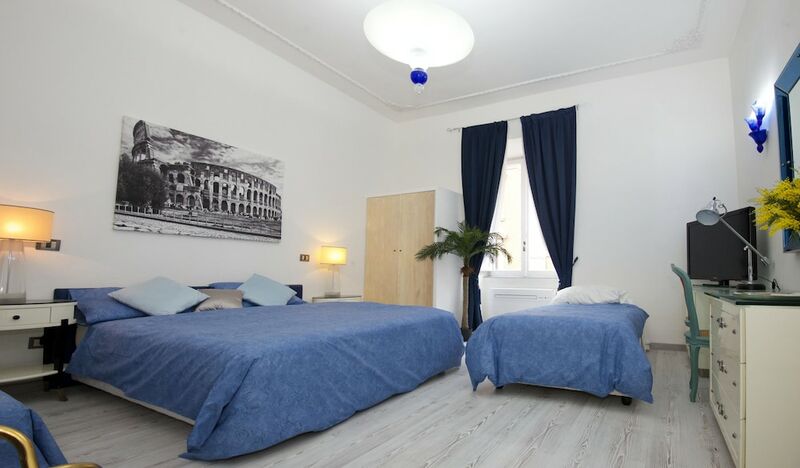 Deluxe Rooms offers accommodations throughout the area in Rome. Make yourself at home in one of the 26 individually decorated guestrooms, featuring refrigerators and microwaves. Your bed comes with down comforters and Frette Italian sheets. Flat-screen televisions with satellite programming provide entertainment, while complimentary wireless Internet access keeps you connected. Private bathrooms with showers feature rainfall showerheads and complimentary toiletries. Local cuisine breakfasts are available daily from 7:30 AM to 11:30 AM for a fee. Featured amenities include express check-in, express check-out, and multilingual staff. A shuttle from the airport to the hotel is provided for a surcharge at scheduled times.